Assistant Prof. Can Akçalı, Department of Molecular Biology and Genetics, is the co-recipient of the Novartis Science Award (Novartis Bilim Ödülleri). 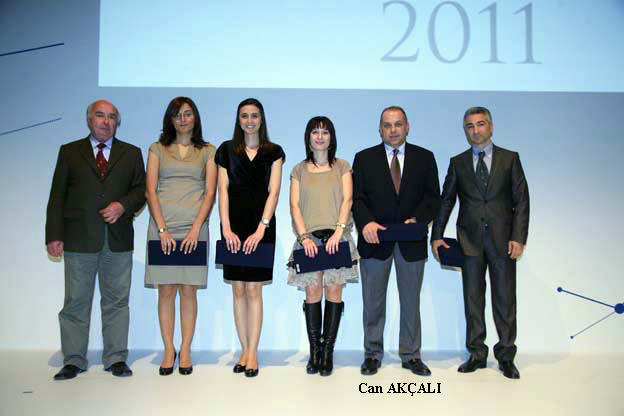 The award is given each year in different categories, and Dr. Akçalı received first prize in the category of Pharmacology Research. He and his colleagues from the Ege University Faculty of Pharmacy won this prestigious award with the research project entitled "Expression levels of TRPC1 and TRPC6 ion channels are reciprocally altered in aging rat aorta: implications for age-related vasospastic disorders." In this project, the molecular mechanisms of age-related changes in blood vessels, which are the basis for vasospastic disorders including high blood pressure, were investigated in young and old animal models. By using molecular biology techniques, two calcium ion channels, TRPC1 and TRPC6, were shown to be responsible for the changes associated with aging. These channels, which mediate calcium entry into cells, could be considered as either potential targets or biomarkers in age-related vasospastic disorders. Novartis is a Swiss-based drug company and offers a diversified portfolio in innovative medicines, eye-care products, cost-saving generic pharmaceuticals, consumer health products, preventive vaccines, and diagnostic tools. Novartis Turkey started this award program in 1986 to promote scientific research.